Hand gesture is a natural way for people to communicate, it plays an important role in Human-Computer Interaction (HCI). Nowadays, many developers build HCI applications on the top of hand gesture recognition, but how to get more accurate when recognizing hand gestures still have a long way to go. The recent introduction of depth cameras like Leap Motion Controller (LMC) allows researchers to exploit the depth information to recognize hand gesture more robustly. 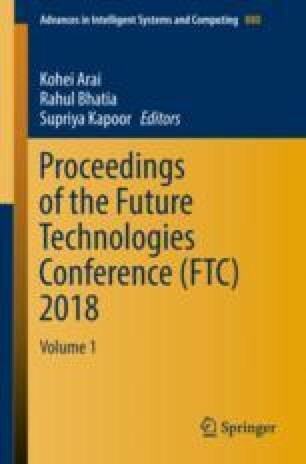 This paper proposes a novel hand gesture recognition system with LMC for hand gesture recognition. Histogram of Oriented Gradient (HOG) feature is extracted from Leap Motion binarized and undistorted sensor images. We feed these features into a multi-class Support Vector Machine (SVM) classifier to recognize performed gesture. The results show that our model is much more accurate than previous work. This work was supported in part by the National Natural Science Foundation of China under Grant 61627808, 91648205, 61602082, and 61672130. This work was also supported in part by the development of science and technology of guangdong province special fund project Grants 2016B090910001 and Open Program of State Key Laboratory of Software Architecture (Item number SKLSAOP1701).